 Check out the prototype environment of a new FIU Virtual Reality course that explores creativity, innovation and collaboration called COMMUNITY. Click on this link to download a brief presentation of the project and to learn more. The project was supported by HP and EDUCAUSE. And now we have amazing flexible Filamant Colorfill nGen Black Flex PLA in the Lab (only in black)! Check out Colorfill Bronze PLA in the Lab (40% bronze, 60% PLA)! Introducing MakerBot Tough PLA to the Lab. Check it out (only in gray)! Research at the CARTA Innovation Lab provided the focus of the 2017 FIU Faculty Convocation Awards Ceremony and Dinner on October 12, 2017. During his keynote address entitled “Provocations from the Edge: Future Advantages for Faculty in Research,” CARTA Innovation Lab director, John Stuart, explored the future direction of research as seen through the context of work being done today in the CARTA Innovation Lab. To download PDF of the presentation images, please CLICK HERE. FIU’S EDUCATION EFFECT OFFERS SUMMER WORKSHOP IN ACCELERATED BRIDGE DESIGN THROUGH THE UNIVERSITY TRANSPORTATION CENTER. 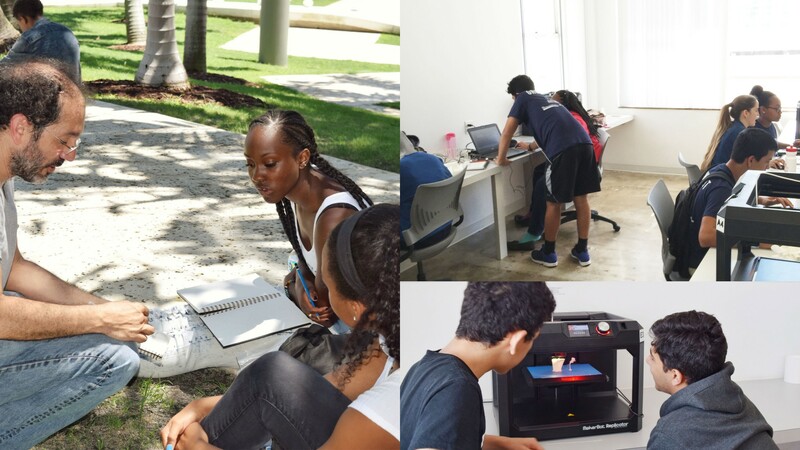 In this one-day workshop on 3D printing, children and their parents built upon their knowledge of bridge design and were exposed to some of the exiting explorations in 3D printing, design, and citizen science happening at the CARTA Innovation Lab. Below, interactive tour with lab director, John Stuart. GROWLIGHT BREAKTHROUGH MIAMI SUMMER CAMP 2017 IS BACK!! 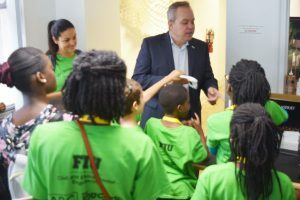 Supported by the Children’s Trust, Miami Dade County, Michael W. Larkin, Nike, Dell, Bercow Radell Fernandez & Larkin, and McNEEL & Associates North America, this summer’s four-week camp focuses again on design, art, technology, urbanism and public policy. Led by FIU architecture students Maria Elisa Marini and Elisa Leal with the supervision of Breakthrough Miami’s Justin Pinn, and with instruction by FIU architecture students Daniela Echeverry, Sophia Cabral, Amanda Valino, and William Valle, the 10th graders in this program start each day with a stretching exercise and includes work with Rhinoceros 3D modelling software and 3D printing. The hope is that over the course of the summer camp, students will learn how to transform their ideas into 3D models and use the 3D prints of their ideas to help them to find ways to make their dreams into realities. Click here for the full 2017 camp schedule! 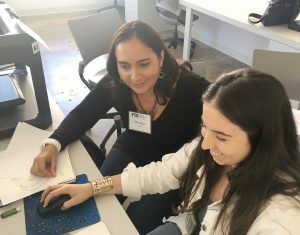 Growlight/Breakthrough Miami is a three-week summer camp held at the Miami Beach Urban Studios that focuses on design, art, technology, urbanism and public policy. 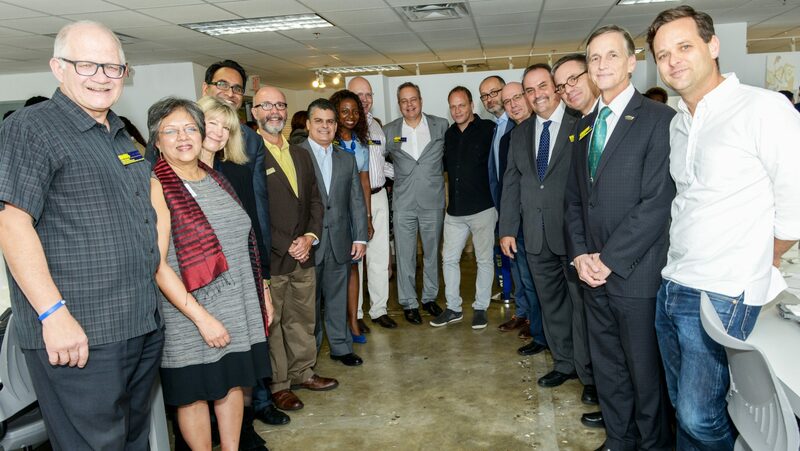 Thanks to the Knight Foundation, the Miami Foundation, Philanthropy Miami, Dell Computers, McNeel Miami, the City of Miami Beach, and to Prof. David Rifkind for his leadership and to all the students involved in making this new inroad opportunity into the creative economy available to students n our region. In the photograph on the left, CARTA Associate Dean for Students, David Rifkind sketches with students in the Soundscape Park outside the New World Symphony. In the above right, FIU graduate students and FIU AIAS President Patricia Elso works with students on 3D modeling. Bottom right, students working with a MakerBot 3D printer in FIU’s CARTA Innovation Lab at the Miami Beach Urban Studios. The FIU family came out for the Grand Opening on 9/29/15. From left to right: FIU President, Mark B. Rosenberg, Dean Ranu Jung, Marilys Nepomechie, Saif Ishoof, Raul Reis, Bobby Grillo, Angelique Grant, Tim Rodgers, John Stuart, Eric Goldemberg, Jacek Kolasinski, Orlando Garcia, Dean Brian Schriner, Jason Chandler, Provost Kenneth Furton, Nick Gelpi. 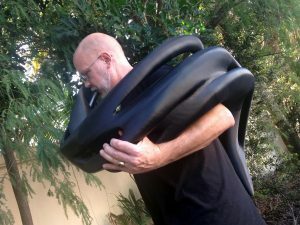 Scott F. Hall from University of Central Florida in a recent article on CNET playing a 3D printed didgeridoo, called a “hornucopian dronepipe” created at the CARTA Innovation Lab and designed by Architecture Professor Eric Goldemberg and Veronica Zalcberg both founders of Monad Studio. Charles Pikler, Principal Viola, Chicago Symphony takes one of Professor Eric Goldemberg’s Musical Instruments for a spin. 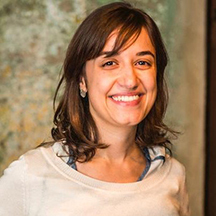 Members of the Human Sensation Project from the CARTA Innovation Lab, the FIU Adaptive Neural Systems Lab, The High Performance Database Research Center, the FIU VizLab, Venture Hive, Rokk3r Labs, and the World Council of Peoples for the United Nations joined forces to apply for a Microsoft HoloLens academic research grant to challenge the HoloLens and 3D printing technologies to invent musical instruments for veterans with commercial prostheses. The project turns disabilities into unique abilities! FIU’S CARTA Innovation Lab was invited to join Dartmouth, Gallaudet, Hamilton College, Harrisburg University, Harvard, Lehigh, Syracuse, University of San Diego, Yale, Case Western, Stanford, MIT and others in a research project supported by HP Global and EDUCAUSE exploring The Campus of the Future. As part of the project, MBUS now has a new HP/EDUCAUSE “Campus of the Future” Special Projects Lab featuring the following 3D visualization equipment: 1) HP Sprout Pro G2 Blended Reality Workstation; 2) HTC Vive Head-Mounted Display and Sensors and workstation; 3) HP 3D (DAVID) Structured Light Scanner Pro S3. 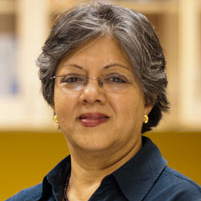 Faculty and students have begun to use the equipment in their research. Vizcaya Museum and Gardens hosted a day-long, Knight Funded 3D printing and technology workshop organized organized by Vizcaya staff members Adult Learning and Engagement Manager Dr. Mark Osterman and Vizcaya Head of IT Jeff Guin, FIU by Design Director Mark Marine and members of the CARTA Innovation Lab to explore the future of 3D printing in the museum context. For workshop photos, participants, and agenda CLICK HERE. Dr. Bruce Carter, Member of the National Council on the Arts and Research Associate at the FIU School of Music, developed a 3D printed string training tool and presented the first examples to children (pictured below) participating in Miami Music Project. 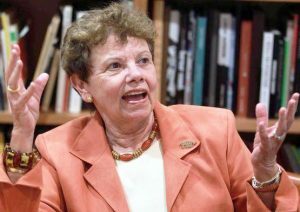 Dr. Carter is working with graduate students in Music Education to develop a new curriculum surrounding the violins and is working with designers to develop version 2.0 based upon suggestions from these first recipients and their instructors! Office of Executive and Professional Education at the FIU College of Business collaborated with CARTA faculty and students on a Summer 2017 Design Thinking Prototyping workshop with students in the Executive MBA program. 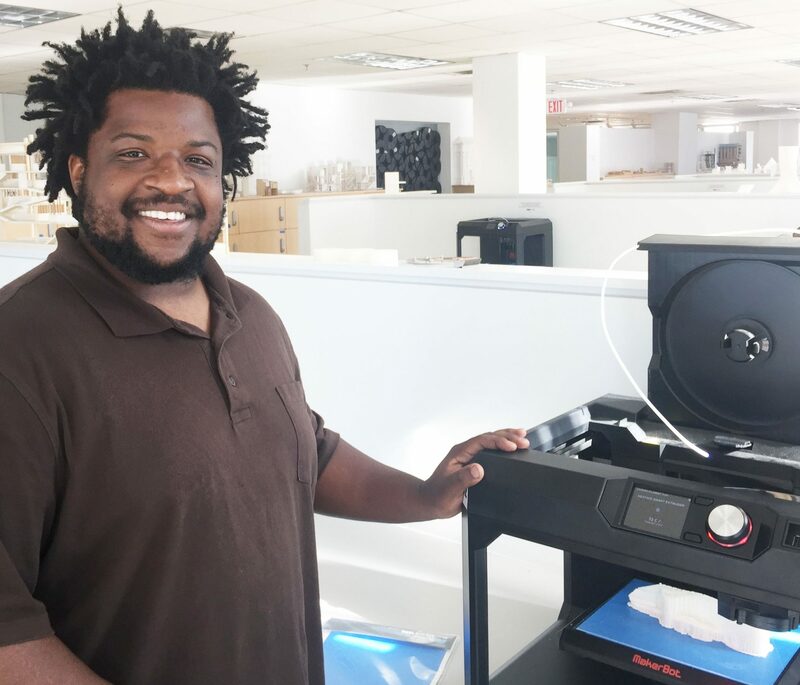 Justin Pinn, STEM and Success Academy Director for Breakthrough Miami has collaborated in a leadership capacity with the Summer 2017 Growlight Breakthrough Miami 3D Printing Summer Camp. 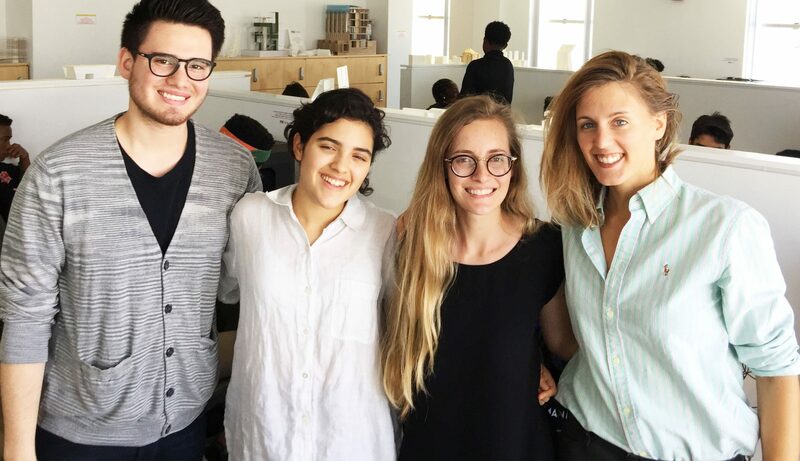 2017 Growlight Breakthrough Miami Summer Camp featured a very talented FIU Architecture Student Teaching Team (minus Daniela Echeverry) L to R below: William Valle Pinto, Sophia Cabral, and team leaders Elisa Leal and Maria Elisa Marini. The team collaborates with Justin Pinn (above). David Garber, Assistant Professor in FIU’s Department of Civil and Environmental Engineering developed a summer workshop with Seun-Jae-Lee about 3D printing and Accelerated Bridge Construction. 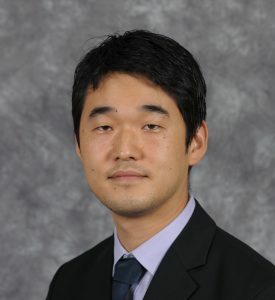 Seun-Jae-Lee, Assistant Professor in FIU’s Department of Civil and Environmental Engineering, worked with children and their parents in the Accelerated Bridge Construction Summer Camp through the Education Effect. 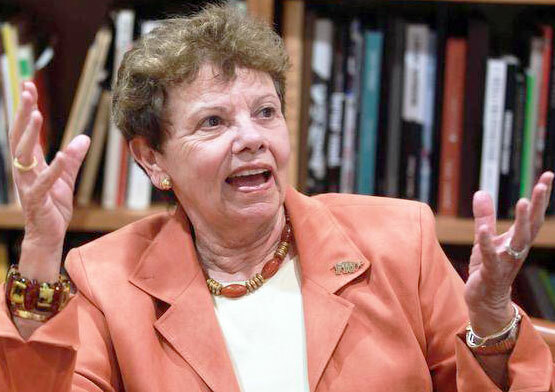 Carol Damian, retired professor in the Department of Art/Art History, collaborated with her students and the CARTA Innovation Lab on a 3D scanning and printing project involving the Toro Family collection of pre-Columbian artworks. 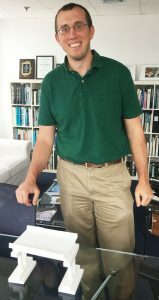 CARTA Innovation Lab helps local entrepreneur and physical therapist David Barouche receive patent for new product, the Calf Pro. Check out how David did it done in new video by MBUS student assistant, Jaime Antonio Oswaldo Delgado Vargas. An inspirational YouTube video with Goja.com about ecommerce, rapid prototyping, 3D printing and Amazon.com. Created by Jorge Graupera and produced by Goja.com. Wonderful 2017 Growlight Breakthrough Miami Video with student testimonials! An early video tour through the CARTA Innovation Lab just before classes began. And the Fall 2015 semester begins…. 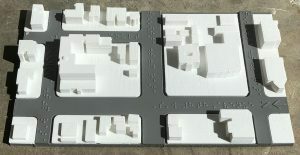 Starting in June 2017 and at the initiation of MBUS Board Chair, Alfred Karram, Jr. and David New, the CARTA Innovation Lab worked in collaboration with staff members and clients at the Miami Lighthouse for the Blind and Visually Impaired, to develop a groundbreaking 3D-printed Tactile Neighborhood Model (or plan) designed to assist the blind and visually impaired in their orientation and mobility. Thus far, the pilot has been used by over 100 individuals and has proven to help with the identification of light/heat and shade/cool and in the calibration of echolocation. Next step is to acquire external funding to expand the project and 3D print other neighborhoods and environments of relevance to the Miami Lighthouse clients. The project has garnered attention on Bob Branco’s podcast In Perspective. MBUS Researcher and FIU Architecture Professor, Eric Goldemberg’s MONAD Studio and MIT Media Lab Fellow/Bionic Artist, Viktoria Modesto featured in iQ by INTEL . For complete coverage of the collaboration, check out the story by Andrea Perez for the FIU Department of Architecture. Working with the FIU Education Effect and faculty members in the FIU College of Engineering and Computing, children and their parents in the Accelerated Bridge Design summer workshop learned about bridge components and 3D printing through a project 3D printed by Jacqueline Thompson, Senior Program Coordinator in the FIU College of Communication, Architecture + The Arts. 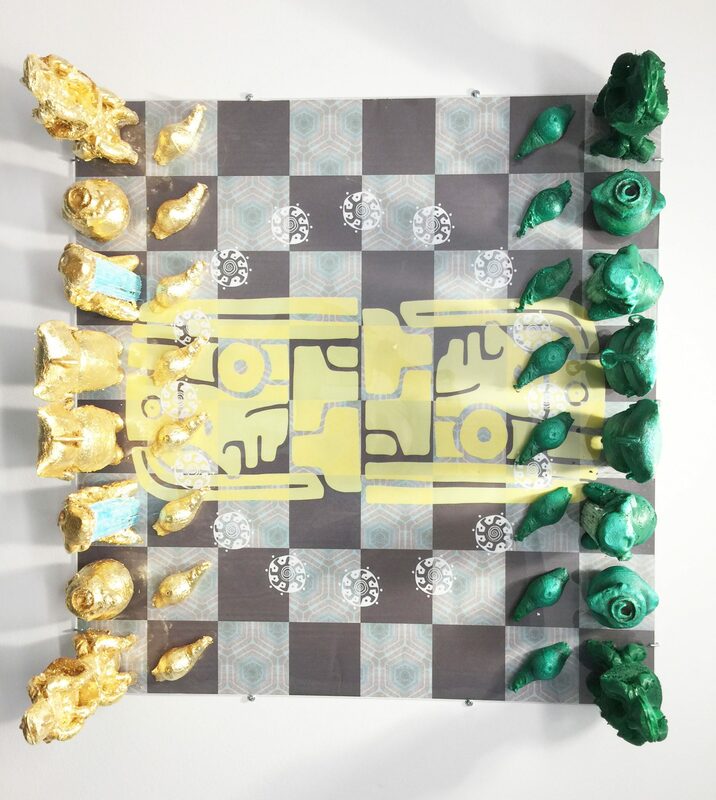 In a seminar with Art professor Carol Damian, Isis Ellis created IMAGO II from 3D scanned objects in the Toro Family collection of original pre-Columbian artifacts housed at the Miami Beach Urban Studios. 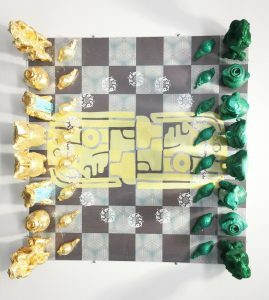 She reconfigured 3D prints from the scans into a new work that is now on display and inspiring innovation at STARTUP FIU. 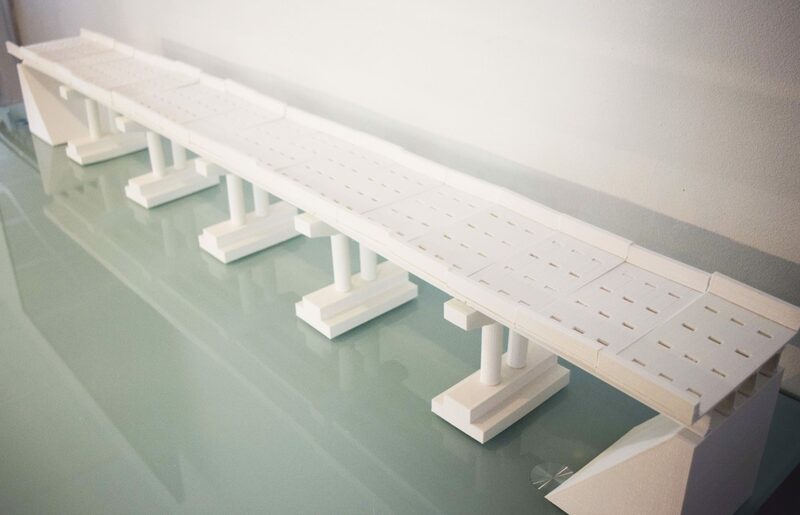 Students in FIU’s Executive MBA program working with Jorge “Miguel” Carrillo and Rosa Fuste in the College of Business teamed up with John Stuart, Jacqueline Thompson and CARTA Architecture students in the 3D printing lab to prototype new products that had actually come into the lab from neighboring businesses. Below, the work began with teams sketching out their solutions and continued with presentations of the new ideas. 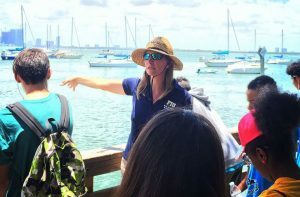 Tiffany Troxler, Director of FIU’s Sea Level Solution Center, takes students in the 2017 Growlight Breakthrough 3D Printing Summer Camp to explore issues of the environment and sea level rise in Miami Beach. The plan is for students to use the 3D printers to prototype components to citizen science kits and many other possibly solutions to sea level rise! 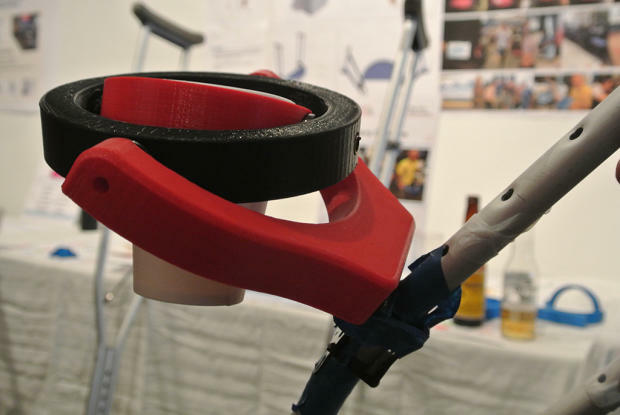 Meet FIU student, Matt Wasala, who just returned from the Tikkun Olam Makers (TOM) Makeathon and was a member of the award-winning the “Carry Crutches” team, which 3D printed a spill-free beverage holder to be attached to crutches! 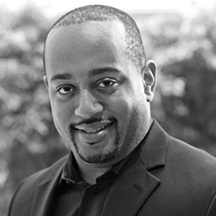 Michael Hall of Digital Grass Innovation and Technology is hosting the first annual Continuing Innovation Technology Entrepreneurship Education Summit 11/20-11/21/15 at the CARTA Innovation Lab! Stay tuned!! Where FIU 3D prints the future. 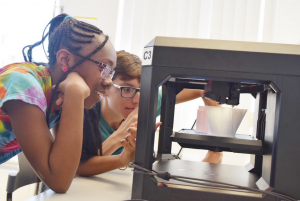 By bringing in a large-scale 3D printing center and providing access to 3D printers to students at an early stage, FIU can create an atmosphere of creativity and collaboration that spurs innovation and invention like never before. It’s a mosh-pit of creativity! If you can print it twice, print it somewhere else! Support our growing local ecosystem of maker spaces! The CARTA Innovation Lab seeks to provide students, faculty, researchers, industry partners, and community members opportunities to seek new visions of possible bright futures. We are solving the social, cultural, technological and environmental problems in our region and preparing them for dissemination around the globe. As the only Innovation Lab housed in the College of Communication, Architecture + The Arts (CARTA) with students and researchers in music composition and performance, sculpture, design, graphic design, photography, landscape architecture, communication arts, interior architecture, theater, and digital design, we are uniquely situated to collaborate with engineers, computer scientists, scientists, and those in the humanities. Located in the heart of Miami Beach on the famed Lincoln Road Mall, the Lab is perfectly situated to engage local residents and to accommodate guests from around the world as they utilize the lab to look to challenges as opportunities. 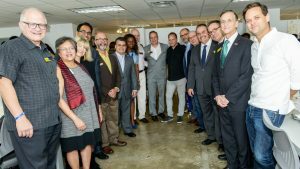 FIU CARTA students and faculty researchers celebrate the digital glitch, the new perspective, the unexpected outcome as part of the creative process. The CARTA Innovation Lab is developing ways to engage everyone from school children to established corporate leaders in the process of learning about who we are by how we use the technologies around us. Develop your vision and 3D print it. The CARTA Innovation Lab promotes the integration between the digital world of designs, drawings, and concepts, and the physical world of objects, people, and places. FIU is Miami’s first and only public research university, offering bachelor’s, master’s, and doctoral degrees. It is worlds ahead in its service to the academic and local community.